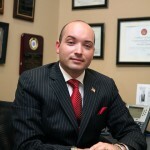 Can anyone name a key piece of legislation that has affected the lives of residents in his district? Or a capital project? The answer is no as Tony Avella continues to campaign for a better salary. Ladies and gents let’s look at the distinguished history of the candidate that runs for anything, anyhow, anytime. Within a four year period, Tony Avella ran for mayor, senator, and borough president, so is it to anyones surprise that he sold out his constituency in order to become a member of a separate caucus? Why is he selling out? Is it because he’ll make more money and get more staff – all to run for another office because thats what political prostitutes do? They don’t care about the people; they only care about their own interests and self-preservation. When Avella was running for Beep he was with Senator Gianaris, and you’d see him with Senator Huntley and other indicted politicians. So what ended up happening? 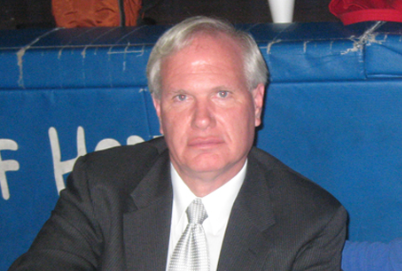 Avella dropped out mid-race to avoid a political disaster. It proves he’s only had one interest: to take a paycheck from government. Tony Avella has been on the public dime his entire life. Avella has no political values or core beliefs. Now we don’t mind when elects stand up for what they believe in, but Avella is all about what will bring him to the next political step. But wait a minute. Is this the same IDC that opened the door and accepted the likes of Malcolm Smith? Is it the same cabal of coo coos that supported Hiram Monserrate and Pedro Espada as they ripped off the government and empowered themselves politically? There’s nothing independent about this move; it’s all about self preservation and political advancement. Let’s face it folks, Tony Avella is nothing more than a cheap politician that has only represented himself. Why else would he take donations from convicted felon Richard Lipsky or fill the College Point Little League grounds with toxic waste? When all is said and done, Tony Avella is all about himself. Government is no longer of the people, government is for special interests, and Tony Avella is the perfect example. 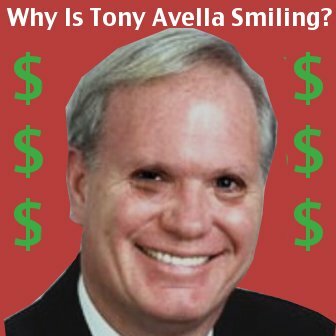 If you want to see the worst example of politician, you’ll find Tony Avella: self-promoter extraordinaire. 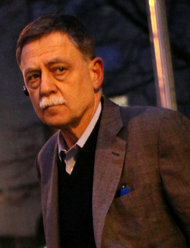 Lipsky bought influence from numerous political campaigns. Queens Politics is calling on all candidates and elected officials to return contributions made by criminal lobbyist Richard Lipsky. It seems every politician wants to take a stand against crime and criminal activity and every candidate wants people to think they aren’t criminals and thus people should have respect for political figures, but when push comes to shove, actions speak louder than words, and right now everyone remains silent. 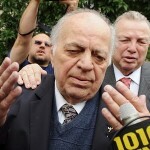 Both prominent politicians and convicted felons received money from Richard Lipsky. Lipsky conducts his lobbyist business from his residence at 140 Riverside Drive on Manhattan’s West Side. Coincidentally, several other donors with the surname Lipsky (possibly family members) – living at the same address – are also large-scale contributors to political campaigns such as Pedro Espada, Hiram Monseratte, Tony Avella, Jose Peralta, and Ruben Diaz. Just check out the financial disclosure reports and see who Lipsky donated to. Last week Lipsky was sentenced to a puny three months in exchange for cooperating with authorities. Many have speculated that his cooperation could be the undoing of several high-ranking elected officials and fellow lobbyists, but this remains to be seen as constituents are just beginning to demand a full return of his contributions. 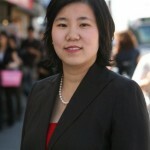 Queens-Politics is urging all elected officials to return the money, don’t pocket it, give it back, or give it to charity. To our friends in the media we invite you to carefully scrutinize his donor list available on the link above. Everyone is running for the hills as Lipsky sings to the feds. From the New York Times: — The halls of the New York State Capitol have for years provided a happy hunting ground for prosecutors and ethics investigators. Over the last six years, 27 elected officials in Albany have been indicted, convicted, censured, or otherwise accused of misconduct, according to a running tally maintained by the New York Public Interest Research Group. The allegations have been diverse; they include a senator attacking a photographer and an assemblyman having an affair with an intern. Now, it seems probable that the list will grow: Richard J. Lipsky, a well-known city and state lobbyist convicted of bribing former State Senator Carl Kruger, has been secretly cooperating with the federal authorities, suggesting that other elected officials could soon find themselves in trouble with the law. At the City Council, two members have run afoul of the law in recent years after city and federal investigations into the Council’s corruption-plagued and long-opaque process of doling out discretionary funds. One, Miguel Martinez, is serving a five-year prison term for absconding with $106,000, some of which was intended for nonprofit groups. Another, Larry B. Seabrook, was convicted in July of nine counts of fraud for orchestrating a corruption scheme to channel hundreds of thousands of dollars in city money to his relatives and friends. City Councilwoman Letitia James of Brooklyn observed Tuesday. She would not be surprised, she said, if Mr. Lipsky tried to reveal “some sordid and/or illegal relationships,” given his extensive dealings with the City Council and the number of big projects the Council has debated. In recent years there has been a steady stream of candidates running for office on a platform of removing the taint of corruption from politics in New York City and in Albany, including the governor, Andrew M. Cuomo, a Democrat. But the list of allegations of wrongdoing has continued to grow. None of the elected officials interviewed said they would be surprised to see colleagues charged. Around City Hall on Tuesday, there was no shortage of speculation among officials and lobbyists as to whom Mr. Lipsky might incriminate. Much of the talk focused on the officials who represent parts of the city like the South Bronx, Downtown Brooklyn and central Queens, where Mr. Lipsky was actively involved in land-use debates, particularly in efforts to derail development projects.